Chai 3:16 is a community cafe that serves only chai, and the price is decided by the students buying the tea and if you don’t feel like paying for it, don’t. You can come here, sit down and spend a day in the cafe while sharing, discussing and interacting with other youths about problems and difficulties in your life. Benny Prasad, a musician, traveled the world with music as his companion. A low period in his life lead him to open Chai 3:16, a cafe not only serving tea but also giving guidance and counsel to college students and youths that need it. It was a mission to help others find a way up when they felt like they have hit rock-bottom and there is no way up. 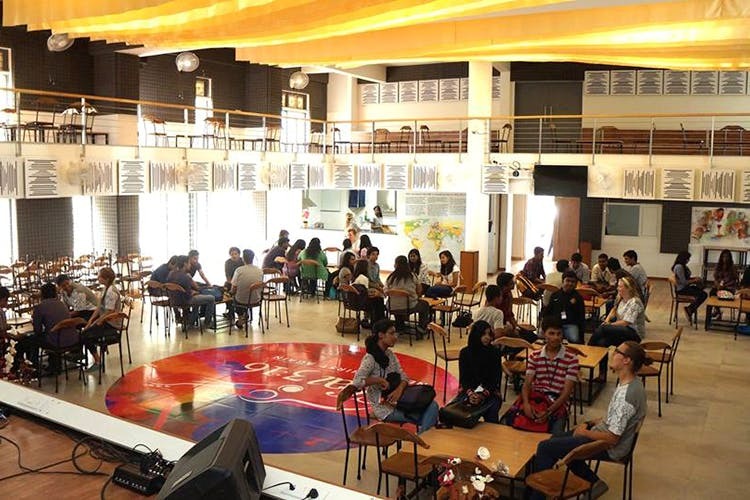 Opened in 2015, the cafe is a 400 seater community space where you can come in, buy a cup of tea and be part of a discussion or interact with youths who seek help and guidance in low times of their life. Bangalore has a high population of youth and a percentage of this population is under high stress. Chai takes the initiative to help these youths with their problems. So when one comes here, they sit down with a tea and interact with the staff, build a relationship and rapport with them and open up about their difficulties and struggles. Don’t worry, this is all confidential and if you don’t want anyone else there, they won’t be. And you can always come back and speak to them if you wish, sometimes weekly, sometimes daily. The cafe serves six types of tea, namely lemon, ginger, masala, chamomile, tulsi and green tea with mint. The counseling is free and you decide the price of the tea too! Chai is Hebrew for life and this is a place where you can discuss yours and seek guidance and counsel for the obstacles you face. A really cool thing about this place is the bathroom. Being a musician, Benny incorporated a bit of his musical background into Chai. The men’s bathroom is designed with a guitar theme and the women’s bathroom with a piano theme. The basin in the women’s bathroom is a keyboard and the men’s is a guitar shape. The staff here are all volunteers and are from around the world. They also have accommodation for short-term trips as well.